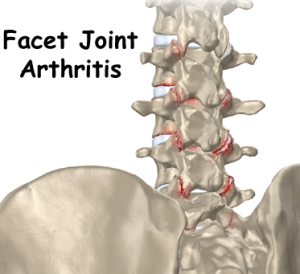 Arthritis occurs in tens of millions of individuals every year. The spine is no exception. As arthritis occurs in the facet joints, which are the thumbnail size joints on each side at the back of the spine, one level can become unstable on another. This is where the term spondylolisthesis comes into play. 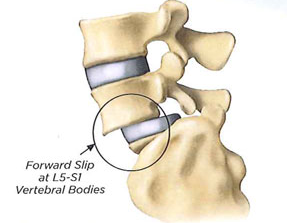 The ‘spondy’ part refers to the spine, and ‘listhesis’ is Latin for slippage. So one level can slip on top of another, and this can lead to pain and traction on nerve roots. When a patient presents with signs and symptoms of degenerative spondylolisthesis, typically an individual describes a combination of both back pain and leg pain, cramping, achiness. For an individual with the condition, surgery is not an absolute. In fact, it is a last resort, elective decision. Initially, patients should try considerable conservative treatment, starting with over-the-counter pain medicine such as Tylenol and anti-inflammatory medication. For short-term exacerbation of pain relief, opiates may help tremendously. They should not be used in the long-term, as the risks begin to outweigh the benefits. Additional nonoperative treatment consists of physical therapy and Las Vegas Chiropractor manipulations. While these do not fix the problem of slippage, it may provide pain relief that negates or delays the need for an operation. Interventional pain management for symptomatic degenerative spondylolisthesis is catered to the symptoms of the patient. 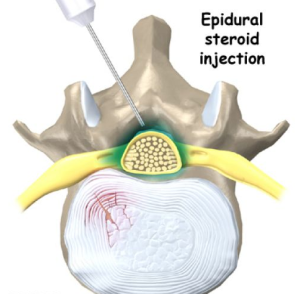 For instance, if the individual has no back pain but considerable leg pain, epidural steroid injections may help substantially. If the person has considerable back pain but minimal leg pain, then a facet injection and Medial branch block may simmer that down. Or it may necessitate a combination of the two to treat both the back and leg pain. Recently, smaller studies have looked at treating the back pain from degenerative spondylolisthesis with radiofrequency ablation. Initial results have been quite promising. If considerable conservative treatment fails, then interventional treatments can be performed again or the person may opt to have surgery. If you or a loved one is suffering from chronic back in Nevada, let the Nevada Pain Network help you. The Network connects those in pain with pain management Las Vegas trusts. Comprehensive nonoperative options for pain relief. Simply complete the form on the page or call (702) 323-0553 for assistance today!